We had a very relaxing weekend away at Walpole, on the south coast of WA. 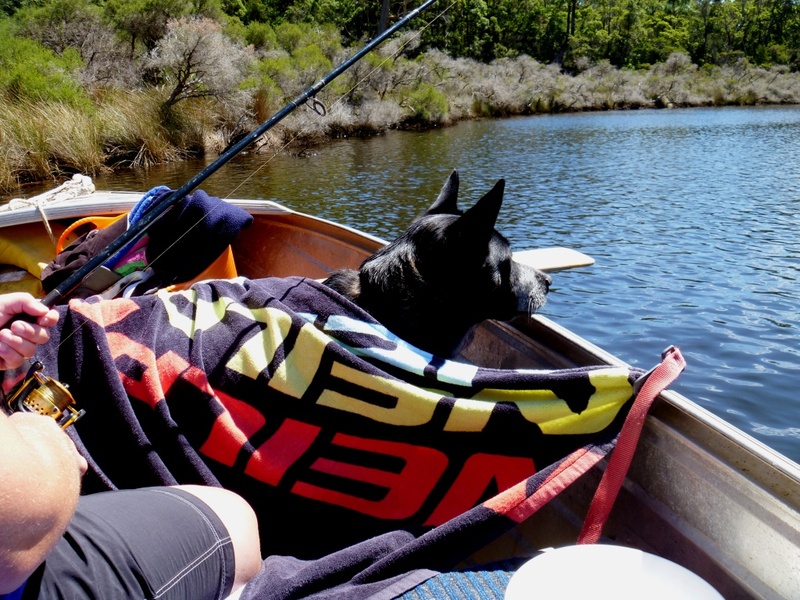 We stayed at Rest Point Caravan Park as we had The Dog with us and so the National Parks were a no-go this weekend – and there are plenty of National Parks around Walpole. Our grand plans of smashing our previous bream record were dashed. 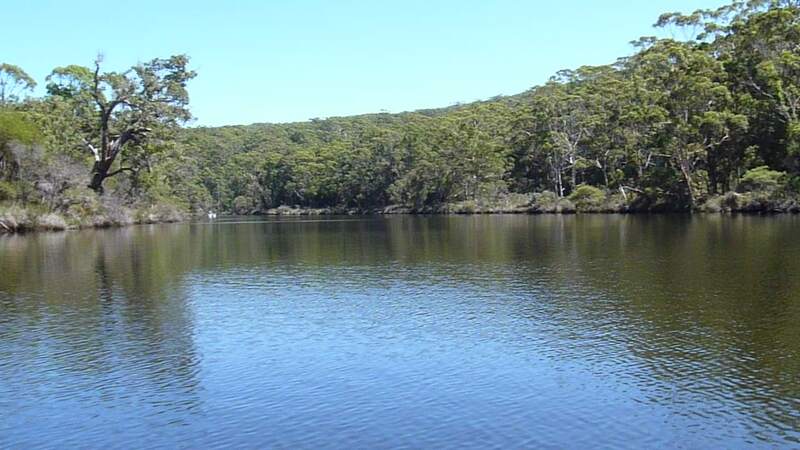 We hired a tinny for the day (high speed 5 hp…) and putted our way across the Walpole Estuary and Nornalup Inlet, then across to the Frankland River. Magnificent day around 30 degrees, plenty of sun and not too much wind. 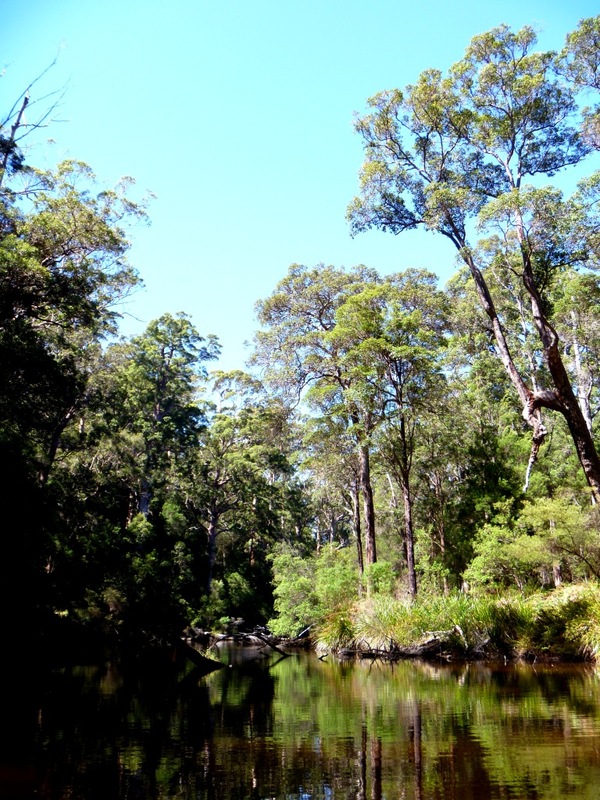 As always, the bush and trees on the Frankland River were magic. Symphonies of birds, eerie calm and a mirror finish on the water. 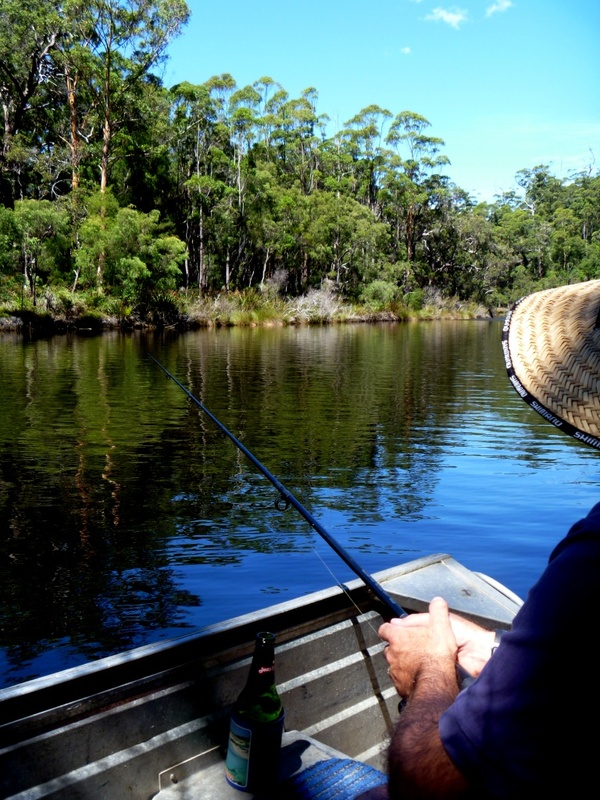 We drifted and fished over our favourite fishing spots but to no avail. 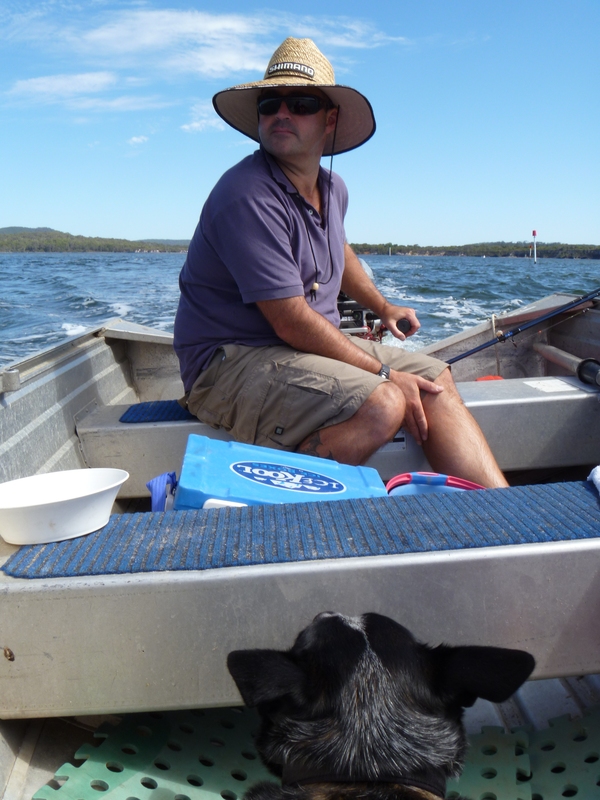 Despite our best efforts – just a few undersize bream and a herring that never made it into the boat. Regardless, it was a great day on the water. Sunday was a big day of 4wd’ing and exploring. Headed east from Nornalup, then south down Station Rd and onto the tracks to Blue Holes on Bellanger Beach. 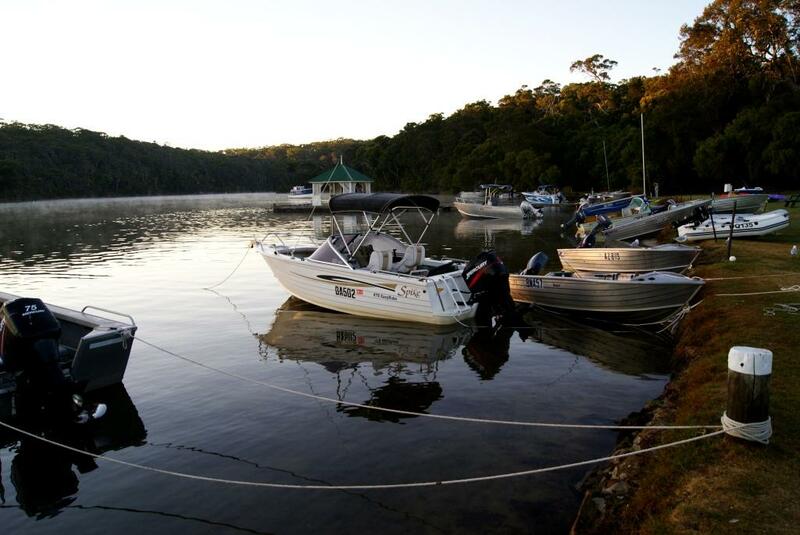 It’s a magic spot – aqua blue water with reasonable swell and waves about. Pretty soft sand on the beach and the track getting on and off needs reduced tyre pressure. We couldn’t stop and fish as this stretch of beach is part of the National Park. After an attempt to get along the beach to Irwin Inlet, we found the beach just got too narrow, soft and sloping for our liking. A few heart pumping moments and we made a safe return. We carried on to the east to one of our favourite beaches at Peaceful Bay. 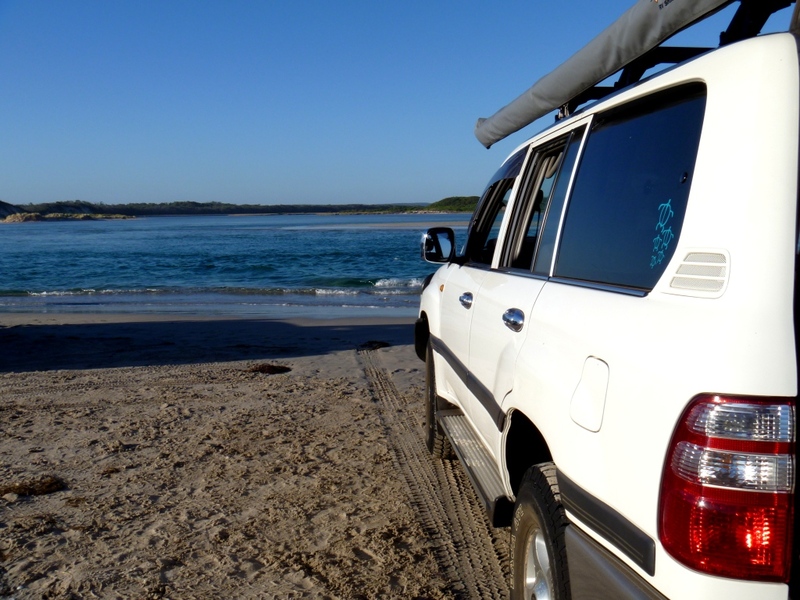 A warm breeze, plenty of room on the beach for 4wd’ing and easy to find a quiet spot. 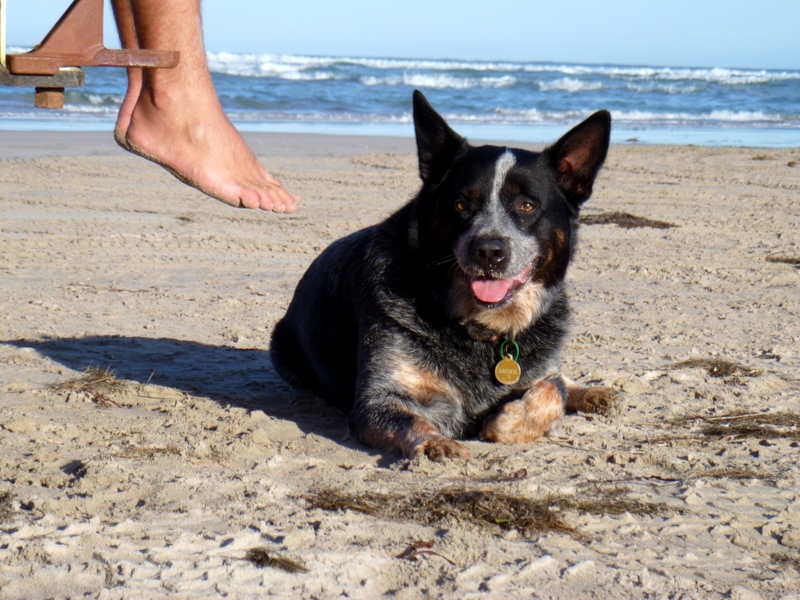 Spent most of the arvo swimming and relaxing on the sand. Around sunset, we headed to the mouth of the Irwin Inlet. 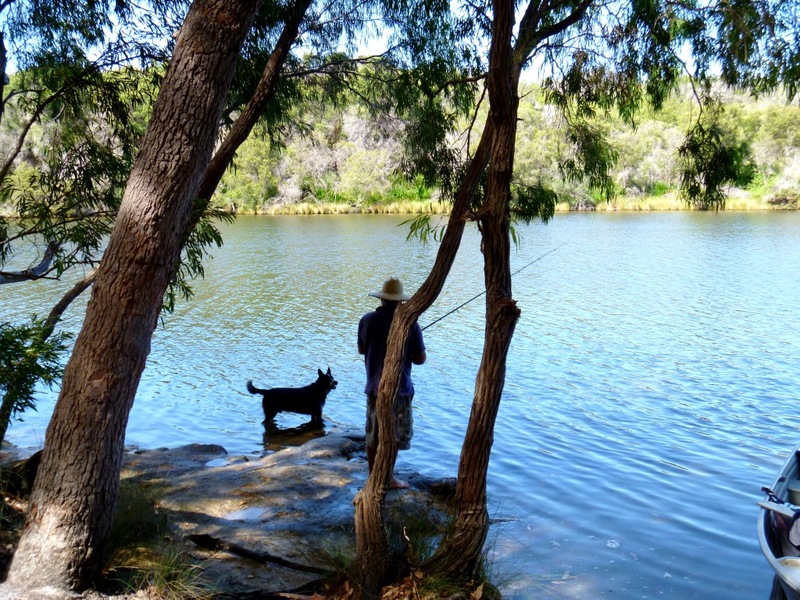 A great spot for a dip and plenty of room for The Dog to try and round up the local farm dogs who were also here for the weekend. Pretty strong current running through that makes for a fun drift into the inlet. A few lazy swims, a few quiet bevvies, then time to go. As we headed back along the beach there were plenty of people set up for an evening of salmon fishing. But after seeing no evidence this early in the year of the salmon run, we just slowly trekked back and didn’t wet the line again. Sunrise over the Walpole estuary this morning was gorgeous. 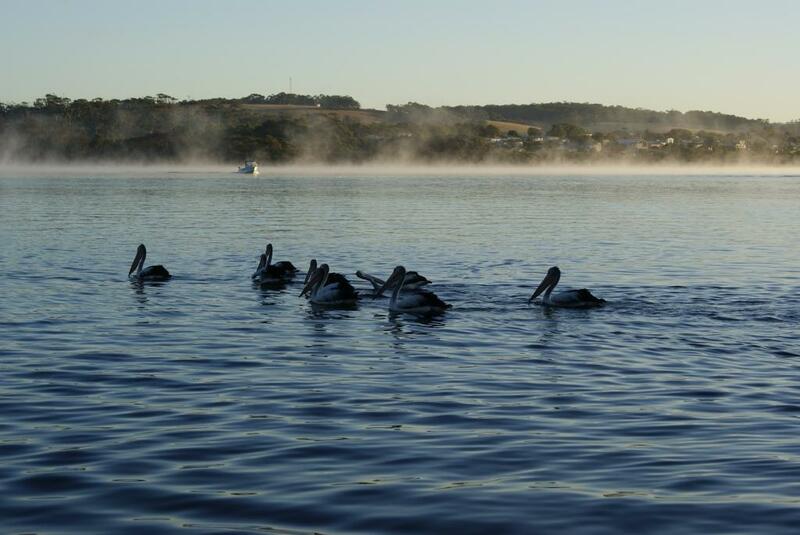 There were heaps of pelicans about having an early morning feed as the sun came out – it reminded me of Storm Boy and Mr Percival, once again! 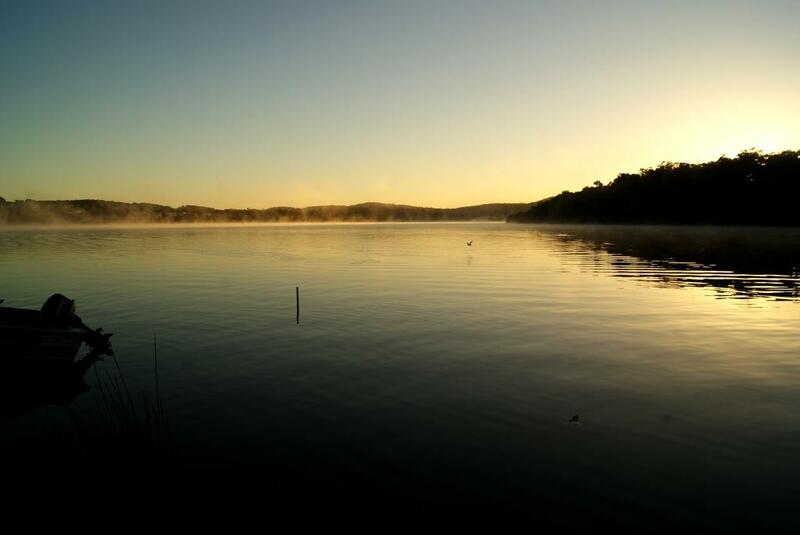 There were a few early morning fishermen heading out, but today was pack up day for us – time to head home.